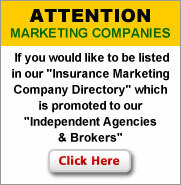 Marketing Company Directory | Free Listing Submit | How & Why . Life Insurance - Allied Marketing Partners (AMP) is a full service brokerage general agency providing agents with unparalleled, personalized service and access to a broad range of highly-rated carriers, innovative products, highly competitive compensation and exclusive, unique business planning, income creation and wealth planning strategies. Financial Products Insurance - ASUREA is a brokers broker for Worksite and Life insurance products nationally. Life - Health - Long Term Care Insurance - We are a boutique brokerage general agency offering concierge support for our clients. Our companies, products, and services give producers the resources to provide the best possible outcome. We invite you to become part of our customer centered environment and become another BackNine success story. 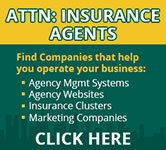 Insurance Agent Websites - BrightFire is a leader in insurance agency websites and digital marketing since 2000. In addition to agent websites, we also provide search engine marketing services, local business listing service, online review marketing, social media & content marketing, and pay-per-click advertising. Business Insurance - ContractorsLiability.com was set up with agents in mind. We focus exclusively on liability insurance for builders, contractors and sub-contractors. Financial Products Insurance - With locations throughout the United States, we are the leading provider of disability insurance quotes and comprehensive DI broker support. Life - Health - Long Term Care Insurance - As an Insurance Brokerage General Agency, we believe that selling insurance is about helping people protect themselves and their families. We work with Independent Agents and Producers to provide products and services from the top carriers in the nation. Life Insurance - Insurance Professionals rely on American Life Marketing. We use our in-depth knowledge of life insurance, disability, long term care and annuities to provide the best solutions for your clients while helping you with industry leading support on underwriting, case management and policy issue. We make success easy. Life - Health - Long Term Care Insurance - national wholesaler for life health and annuity insurance products and services for agents managers IMO'S and consumers as a one shop stop . Life Insurance - National Insurance Brokergae is a full service brokerage general agency offering life, LTC, annuities, and disability insurance. We are located in Marietta GA.
Life - Health - Long Term Care Insurance - Premier Brokerage Services, Inc. is a premier insurance and financial services brokerage agency, headquartered in Brooklyn New York, and has been providing advanced service and support to its network of insurance agencies and independent advisors for more than 30 years. Business & Commercial Insurance - One of the nations largest independent property wholesale brokers. As our name suggests, we are specialists in designing and marketing insurance programs for risks with property and boiler & machinery exposures. Business & Commercial Insurance - TRU specializes in products for insurance agents nationwide who insure motor carriers, freight broker, and freight forwarders. Life Insurance - We are a Dallas based Company looking to hire Full and Part time Insurance Agents. 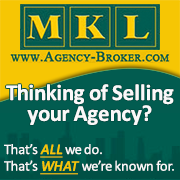 Our Proprietary Lead Program allows us to have more leads than agents. We need agents! We need you! Financial Products Insurance - We support our clients through three phases: First, we assess, analyze and evaluate all pieces of their financial picture and develop a financial plan with a strategy. Second, we support in the implementation and execution of the plan we have agreed upon. Third, we continue to monitor and track their financial plan. We use our independent status to gain access to what we think are the best products in the marketplace to achieve my clients objectives. Business & Commercial Insurance - We Specialize In Commercial Truck Insurance In Over 15 States And Growing. Business & Commercial Insurance - Mercator's approach to wholesale brokerage is all about team - bringing industry experts and service professionals together to work as one on complex risk and insurance challenges. Our team approach ensures greater ingenuity, specialization and market relationships than a single wholesale broker can provide. Business & Commercial Insurance - Wholesale Insurance Agency specializing in Artisan Contractors Garages, Tow Truck Operators, Used Car Lots, Builders Risk, Workers Compensation Insurance, Professional Liability Insurance, Restaurants, Taverns, Nightclubs, Pizza Shops, Deli's and Liquor Liability. Life Insurance - This Website is for Attracting Independent Life Insurance Agents in the Pacific Northwest. We specialize in Final Expense and have New Markets in The State of Washington and Surrounding States. Life - Health Insurance - By understanding client needs, identifying opportunities and continually improving our products, we consistently exceed expectations with our insight and results. Our team of insurance professionals brings years of combined industry experience to work every day. With extensive problem-solving expertise in all facets of insurance, employee benefits and financial services, our staff is dedicated to providing security, opportunity and value for every client.